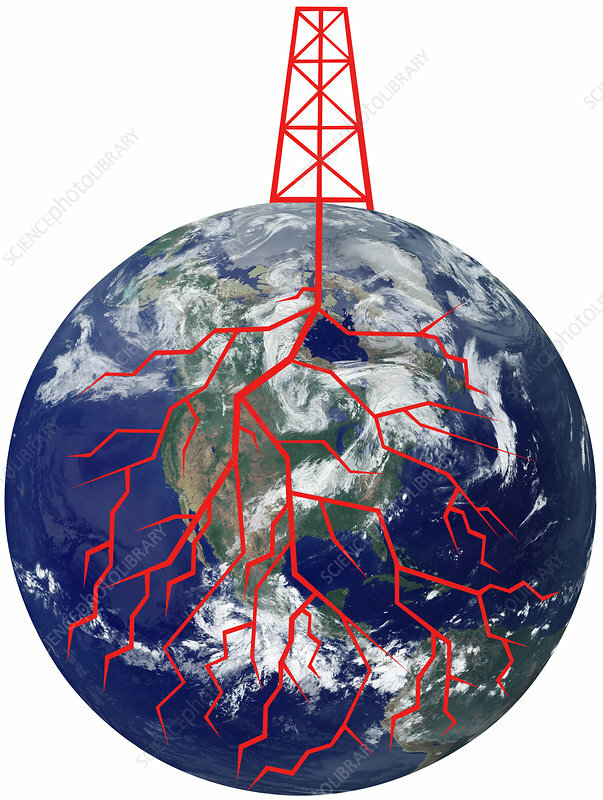 A conceptual illustration of either fracking or in general the dependence of the world on oil. Fracking is a technique used to release petroleum and natural gas. The economic benefits from vast amounts of formerly inaccessible resources are cited by people in favour of fracking. Opponents point to potential environmental impacts, including contamination of ground water and risks to air quality.